Installation of switches, lights, motion lights, cabinet lights, etc. As Portland Maine’s expert Standby Whole Home Generator installers, we can make sure you always have backup power and no longer have to worry about the nasty storms we get in Maine! 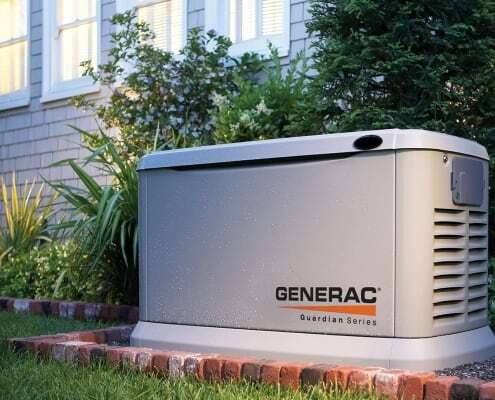 We offer financing plans for standby generators which include installations. See below to get in touch with us for your generator installation. FINANCING STARTING AT $125 DOWN AND $99/MONTH. Forget having to keep track of how much fuel is in that portable generator! And forget worrying about what the weather-person says about that huge storm coming our way! You know that you will be protected from power outages because you have a full power standby home generator covering you. And as Maine’s home generator authority, we are the right team to handle the job for you!